I just wanted to say thank you for the pricing on my A/C system and for the quick response. I also wanted to tell you that the crew that was sent out did a great job both efficiently and with very minimum mess. When you have been in a customer service based industry as long as I have, you always hear the negative. Everyone takes the time to complain. However few take the time to offer praise for a job well done. I was very impressed with all three of the young men that came out yesterday. Not only were they clean cut but they worked hard. I was outside a good part of the day and was having trouble with the heat. They were in my attic and I have no idea how they manage to do their job. I would have melted in about 10 minutes and they were up there all day long. Wow! 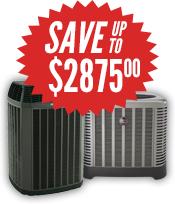 Dave Asher I Produce Buyer I Country Fresh Inc.
Just wanted to drop a note to tell you what a wonderful experience we had in working with your company during the replacement of our A/C system recently. Your experience undoubtedly helped us make better choices for our particular situation and kept us from spending money where we just simply did not need to. You even offered tips to help us save money in areas beyond AC and heating systems. My wife and I were extremely pleased with the work of all of the wonderful folks from All Out and will certainly be calling again. 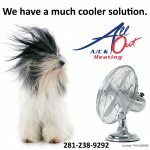 We wanted to tell you that we really appreciate all the good work that you and your team have done in putting in our new A/C and heating system. We believe your price was very competitive and furthermore, your guys showed the utmost professionalism and performed everything as promised. The work was done without compromising the cleanliness of our house, and we look forward to years of trouble-free service from the system. We have really enjoyed dealing with your team and thanks for continuously following up with us. All Out A/C & Heating recently completed our IKE storm related remodeling by installing all new rigid heating/cooling ducts and new air conditioning. The work was completed in a timely manner and the quality of the installation was very impressive. I would highly recommend Bryan, his crew and All Out A/C without reservation. It was a pleasure doing business with your company. Communication was great throughout the job. The whole new install ran very smoothly and on time. The technicians were very knowledgeable. I would highly recommend the company (for a new unit or a minor repair).